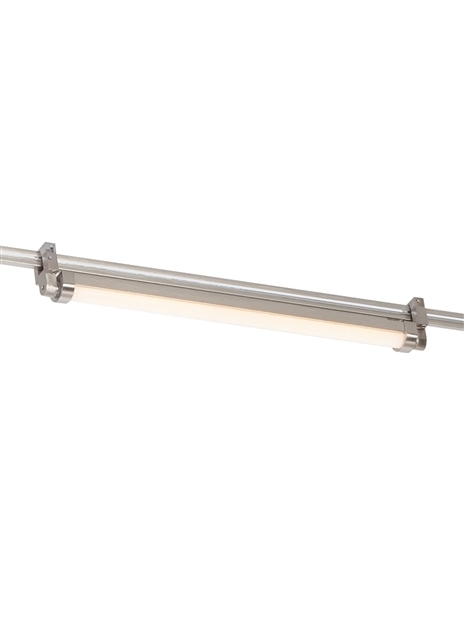 The Rae Head fixture by Tech Lighting is more than just a head, this unique fixture seamlessly integrates the uncompromising light quality of our Unilume LED Micro Channel with the versatility of MonoRail. The Rae head utilizes remote phosphor LED technology which makes for a clean stream of light onto surfaces below. Available in 2400K-4000K the Rae Head is highly practical for a wide range of settings. Available in two length options (consult factory for custom lengths). Each head pivots 180° and can be mounted up or down for easy control of light making it ideal for direct and indirect general illumination, wall wash and display applications. When used in conjunction with other low-voltage heads and pendants, the Rae offers incredible flexibility to layer light throughout a space. 8 watts/ft, 570 net lumens/ft. Length -- Choose -- 12" 24"